Yesterday somebody said to me “just ignore me, those are just meaningless words.” Of course I could not ignore it, because it seems to me that no words are meaningless even if we want them to be. So, although that person probably meant what they said, her words almost had the opposite meaning to me. And so, as usual, that got me thinking. I often think I do too much thinking and not enough doing, but that’s another story…or is it? As I have said before words seem to often define us as we attempt to define our world with them. The problem comes when we think we know what others mean and feel. The reality is that we can only approximate what we think they mean or feel. You can never truly be inside someone else’s mind, well at least not until they invent a brain swapping machine…is any of this real or just hyperreality? Are we doomed to be alone, encased in our prison of flesh, always misunderstood, or is true connection possible? For me this creates a further problem; because I am aware of this tricky problem it makes me extra cautious to avoid misunderstandings. Especially in new relationships; with new friends or people I find attractive. Like a foolish teen I find myself endlessly apologising for the slightest thing for fear of misunderstanding. And to add to that I know that confidence is often more attractive than reticence. Everyone knows that girls love a bad boy right? Maybe I should just stop thinking about it and do what I feel is best. Just dive into life’s slippery splashing stream and enjoy the cool water. Like right now. I should be playing guitar and singing, not writing this…and that is what I will do…ditch the angst! Is it a problem to read to much into things? 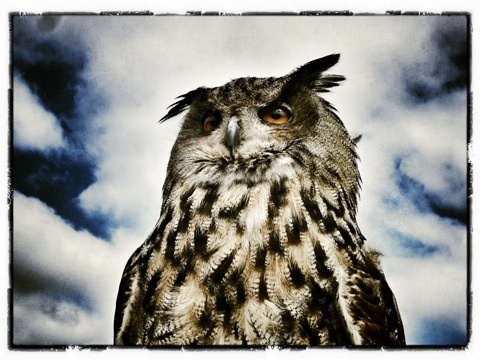 Does the wise owl think or do? What do you think?